The exploration of consciousness has developed to a remarkable degree in the Indian culture. Spirituality and mystical charm have always drawn people from all over the world to India. As the world becomes increasingly capitalistic and materialist the quest and urgency fro spirituality grows more and more. The traditional Indian way of life has helped in the evolution and growth of spiritualism. Numerous cultures and religions have thrived and flourished together for ages and resulted into the unique Indian way of life. Thus Indian spirituality is all about even water and lead a positive and healthy life. It is believed that the supreme creator has put each one of us in this world for a purpose and that purpose is to be compassionate caring and loving to one-another. 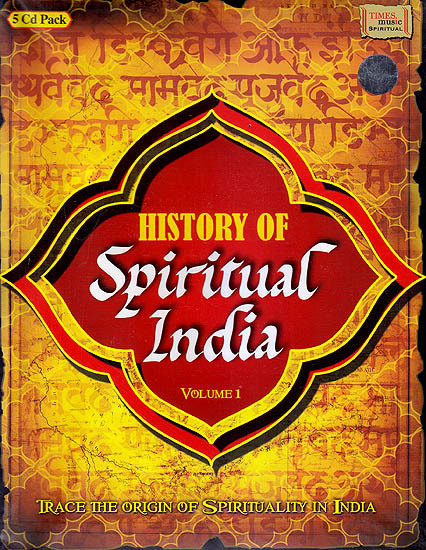 History of spiritual India is a deep insight into the origin of spirituality in India. 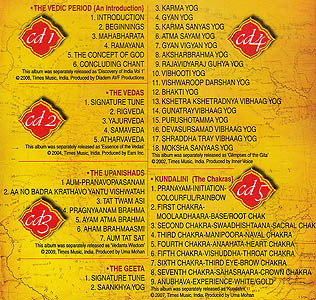 This 5 CD pack encompasses the essence of the ancient India and beautifully defines the journey of devotion meditation, Vedas, The Geeta, Hinduism and the roots of India. 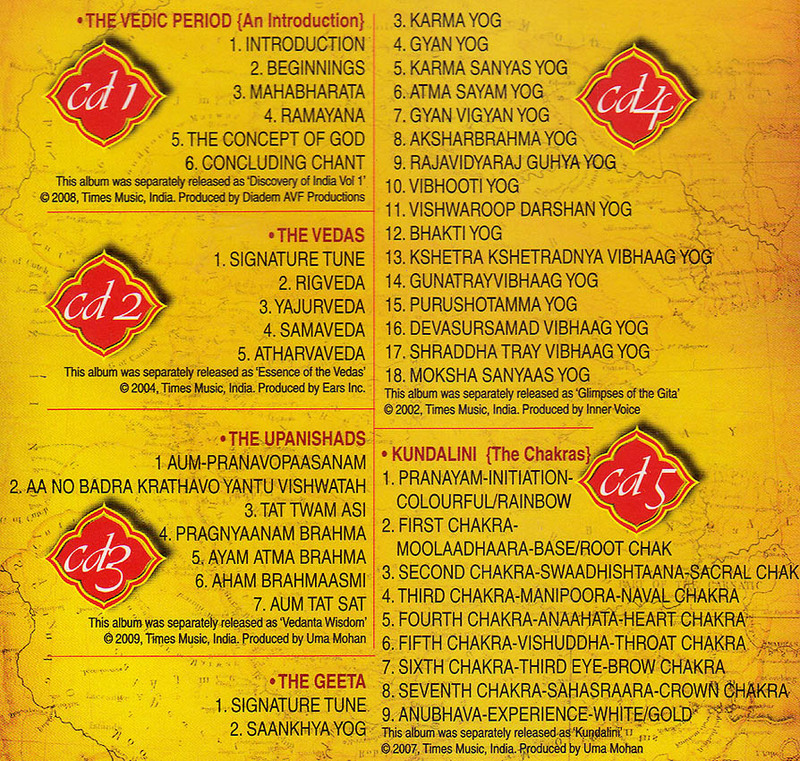 This exotic journey varies through 5 high points starting from the Vedic age to Kundalini describing the art of mediation and chakras to the essence of the Upanishads and giving us the important messages of the Bhagavad-Gita. Trace the Origin of Spirituality in India.